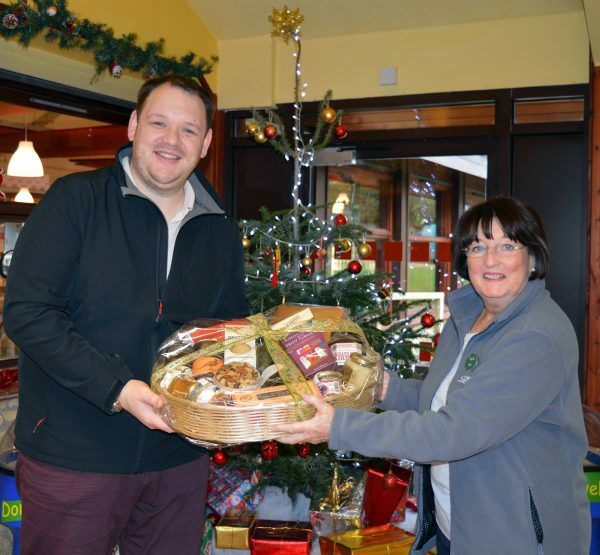 Congratulations to Damion Lewis from Alconbury who won this year’s Christmas hamper raffle. Damion visited Sacrewell with his nieces and says he’s planning on sharing [some of] the hamper with family over Christmas. He’s most looking forward to tucking into the Lindt chocolates. All of the items in this year’s hamper are available from the Three Little Ducks gift shop. Here’s Damion collecting his prize from Hazel, who put together the hamper. You can make your own hamper for Christmas using some of our delicious products-just ask at reception if you’d like some help.